A partial synopsis from Good Reads: Anne Marie Roche wants to find happiness again. At 38 her life s not what she d expected--she s childless, a recent widow, alone. She owns a successful bookstore on Seattle s Blossom Street, but despite her accomplishments, there s a feeling of emptiness. On Valentine s Day, Anne Marie and several other widows get together to celebrate...what? Hope, possibility, the future. They each begin a list of twenty wishes, things they always wanted to do but never did. The story begins with a group of friends who are somewhat sad. Each woman is feeling alone and a bit lost. They decide to celebrate Valentine's Day together with champagne, chocolate and bubble wrap. Never underestimate the power of a group of girlfriends with a sense of humor! ;-) The lists of Twenty Wishes begin, some more quickly than others. As the ladies focus on their newfound goals and supporting each other, serendipitous events start to occur. There were moments this book made me laugh. In one chapter, I used about seven tissues as I cried along with Anne Marie and Melissa. What an inspiring story about moving forward to the next chapter of our lives! 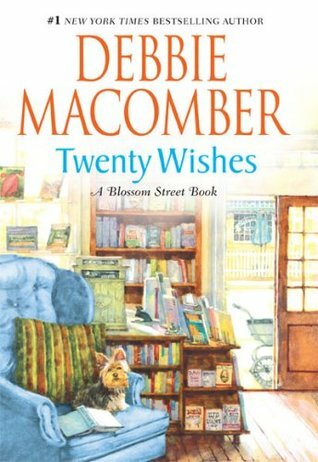 If you are curious about my lists of Twenty Wishes, click on either link below! I've already begun my list for 2015! Are there any books that have changed your approach to life? bubble wrap - easy way to get out some frustration and have fun at the same time :) Sounds like a great book! Guess now I need to update my wishes, thanks for the reminder! I know if I made a list if 20 Wishes of Wants in no certain order-- one of them would be Read boos for leisure-- it's something I've missed doing for a few years now. This book sounds interesting may put it on the list!